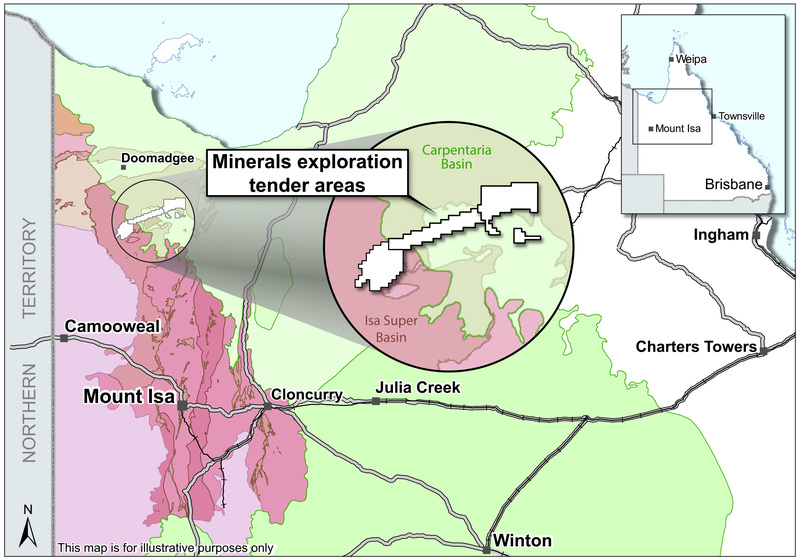 Four areas totalling 1100sq km in the North West Minerals Province have been released via competitive tender as part of Queensland’s Annual Exploration Program. Mines Minister Dr Anthony Lynham said the tender process would provide an opportunity for exploration companies to find minerals including copper, gold, lead, zinc and tech metals, in a region supported by modern rail, port and pipeline infrastructure as well as a skilled workforce. Tenders will include a cash bid and any preferred tenderers selected will need to meet environmental, native title and land access requirements before commencing on-ground exploration. Tenders close on May 24. Dr Lynham said green shoots continued to appear across the North West Minerals Province, including the recent opening of the Dugald River zinc mine and the re-opening of the Lady Loretta zinc mine. “The Palaszczuk Government continues to support resources exploration and development in the North West Minerals Province by delivering a four-year, $27.125 million Strategic Resources Exploration Program under our strategic blueprint for the region,” Dr Lynham said. “This program has already awarded $1.13 million in Collaborative Exploration Initiative grants to kick-start 12 exploration projects in the north-west.